Desk-sharing, flexible teamwork and short-term integration of freelancers into project groups have become an integral part of our daily work routine. That means it is high time for this to be reflected in the working environment too. That is why we have developed a table that can accommodate both individual persons or a group of eight. 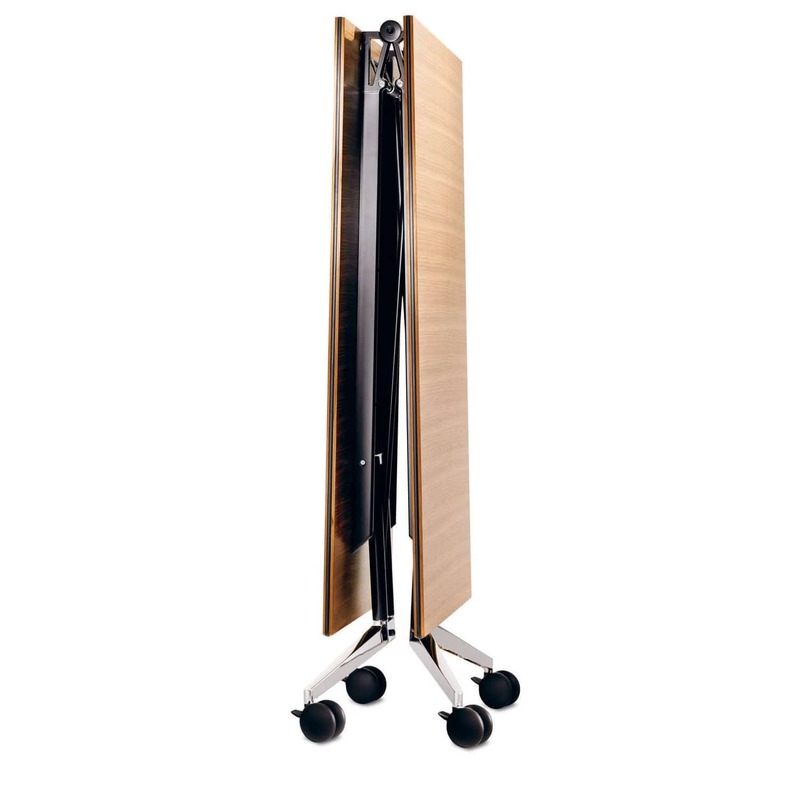 That can be simply linked with other tables to form a table configuration, and can be folded up in no time at all and rolled to the side of the room. Everyone can therefore be as creative as the environment allows. The Confair folding table provides you with optimal conditions for free personal development.Thanks to Confair folding tables, versatile usage of well-designed conference and meeting areas is childs play. Only one single person is required to set up and rearrange the moveable folding tables without any tools, releasing or unlocking procedures or special skills involved. Snap connectors allow the tables to be linked in any direction. If partitions are used to divide up rooms, conference or project work tables can be transformed into a large conference layout in no time. It is a welcoming thought that investing in Confair folding tables pays for itself so quickly.